At Young Entrepreneur Institute (YEI), we believe every student should understand and experience entrepreneurship. We believe the lessons of entrepreneurship are key to helping all young people navigate the challenges and opportunities that life presents. Since 2006 YEI has brought entrepreneurial experiences to over 7,000 students K-12 throughout Northeast Ohio. Who are Friends of YEI? Friends of YEI is a passionate group of professionals that support and promote the mission of YEI. 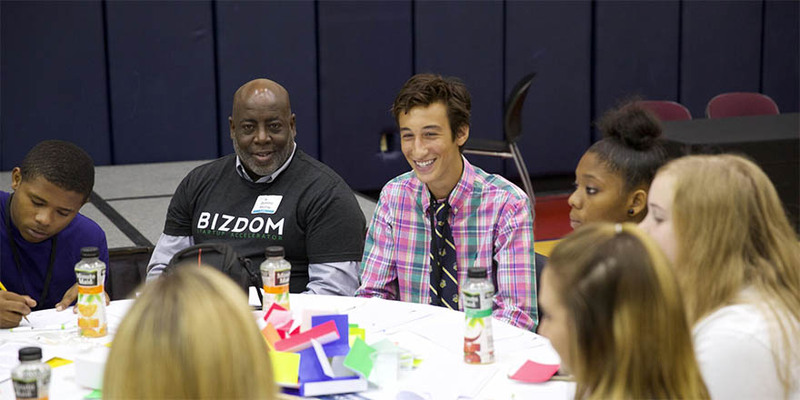 Members are committed to the development of local youth, promoting entrepreneurship, and helping form the next generation of business leaders in Northeast Ohio. The group meets periodically to lend their expertise, resources and time to enrich YEI programming. Why join Friends of YEI? Please consider joining the Friends of YEI advisory group and learn how your unique experiences can enrich our programming. There are many rewarding ways to engage with YEI, including opportunities to network with other professionals who share your passion for youth entrepreneurship education. Members engage in a multitude of fun activities that may include judging live or virtual business pitch competitions, coaching students at a school or after-school workshop, volunteering at market events, and hosting and fundraising for social and networking events. Please click here to complete the membership inquiry form. Membership includes a suggested annual donation. YEI welcomes matching funds and is a sponsored charitable organization on benevity.com. Please contact Wendy Wercion at wwercion@gmail.com or 440-339-1885 with any questions.